If you are in the market for a culinary education, you’ll find a few of the best culinary schools in the country right here between Philadelphia and Pittsburgh. You might also choose from a long list of community colleges and technical colleges that offer chef’s training in the state. Bachelor’s Degrees in food related disciplines are also dispensed by four-year universities that serve industry sectors like nutrition and dietetics. 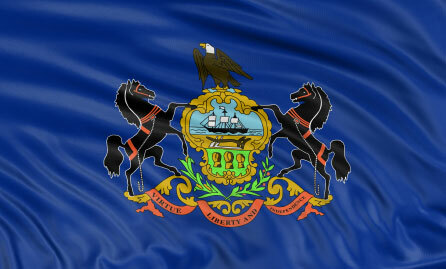 Pennsylvania’s food associations are well known. 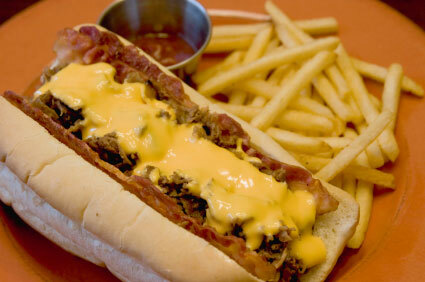 Cheesesteaks from Philly, chocolate from Hershey, and a snack-food industry that sends pretzels and potato chips across the country are prominent features of the state’s food signature. Pizzas and other ethnic contributions are dispensed in an authentic nod to PA’s immigrant culture. Inside the classroom-and beyond, culinary students are exposed to a higher-than-average food quotient that makes for a complete food education. Philadelphia Magazine’s ‘Philly Cooks’ chef competition. Your culinary education must include a comprehensive exploration of the local food scene. Whether it’s Philly, Pittsburgh, Altoona, or Hershey – each locale has a unique perspective to contribute to your culinary pool of knowledge. Each has a certain local flavor that is defined by the creative and inventive food offerings put forth by the best local chefs. Student-run restaurants that let you work while you learn, in fast-paced production roles like those you will play on the job. Consider a student membership in a local chapter of a professional industry association. The popular American Culinary Federation has 12 chapters statewide, from Philadelphia to Pittsburgh. Organizations like these give you access to local pros, who share your passion for the craft. Networking with seasoned industry veterans quickly elevates you to insider status-and that’s right where you want to be at job-hunting time. Promoting culinary education is a commonly shared mission statement for food industry organizations, so getting involved early in your career often leads to scholarships and training-inside the network. Access to members-only seminars and conferences bolsters your understanding of the field, while private job postings and career fairs add further value to your membership. Salaries for chefs and cooks fall along a wide of annual compensation-based on a few key factors. Experience, location, type of kitchen and general economic climate are important considerations, but there is no doubt that a decent education is paramount to your long-term success. Target urban areas for the highest annual salaries and most progressive cuisine, but don’t be afraid to think outside the box, for employment that is off the beaten path. Successful culinary arts graduates work at hotels, resorts, casinos and in institutional settings like schools, health-care facilities and corporate centers. International Culinary School at the Art Institutes of Philadelphia is one of two AI culinary campuses in PA. These ultra-popular programs continue to turn out highly qualified chefs and pastry chefs. Students learn international cuisine, including classical French cooking. Experience in high-volume student-run restaurants and internships augment classroom instruction. Programs on the Philly campus: Bachelor’s Culinary Management, Associate’s Culinary Arts, Culinary Arts Diploma, and Baking and Pastry Diploma. International Culinary School at the Art Institutes of Pittsburgh provides a world-class culinary education that conveys the skills and techniques you need to make your way up the kitchen ladder. Programs include: Bachelor’s Culinary Management, Bachelor’s Hotel and Restaurant Management, Associate’s Culinary Arts, and The Art of Cooking Diploma. Pennsylvania Culinary Institute in Pittsburgh employs the Le Cordon Bleu culinary curriculum, similar coursework as that of the original Le Cordon Bleu in Paris, France. This is classical French training with some American influences included. Programs include: Associates Le Cordon Bleu Culinary Arts, Associates Le Cordon Bleu Patisserie and Baking, Associates Le Cordon Bleu Hospitality and Restaurant Management, and Le Cordon Bleu Culinary Skills Diploma. The Restaurant School at Walnut Hill College in Philadelphia strives to set itself apart from other programs with its commitment to study-abroad opportunities. The campus is state of the art and includes multiple student-run kitchens/restaurants. These are intensive academic and practical programs that also impart a generous amount of business savvy. Degrees include: Bachelors Culinary Arts, Bachelors Restaurant Management, Bachelors Pastry Arts, and Bachelors Hotel Management. JNA Institute of Culinary Arts in Philadelphia is a comprehensive career-oriented culinary school. Expect intensive, accelerated courses that fast-track graduates to good kitchen jobs. Programs: 30-week Professional Cooking and 60-week Culinary Arts/Restaurant Management. Community College of Allegheny County – Allegheny, Boyce, North Campus, South Campus – The Associate’s in Applied Science Degree requires completion of 67 credit hours of on-campus instruction, combined with a practical externship totaling a minimum of 300 hours worked. Four campus locations offer flexible scheduling for degree candidates. Pennsylvania Highlands Community College – Richland, Ebensburg, Huntington, Somerset – Culinary Arts students are inundated with relevant course material that emphasizes management and business principles alongside kitchen training. In addition to earning an Associate’s in Applied Science–Culinary Arts Degree, students are eligible for Certificates from the Educational Foundation of the National Restaurant Association. By passing proficiency exams in disciplines like sanitation or nutrition, students earn additional resume credentials from the NRA that also serve as qualifiers for scholarship eligibility from the organization.